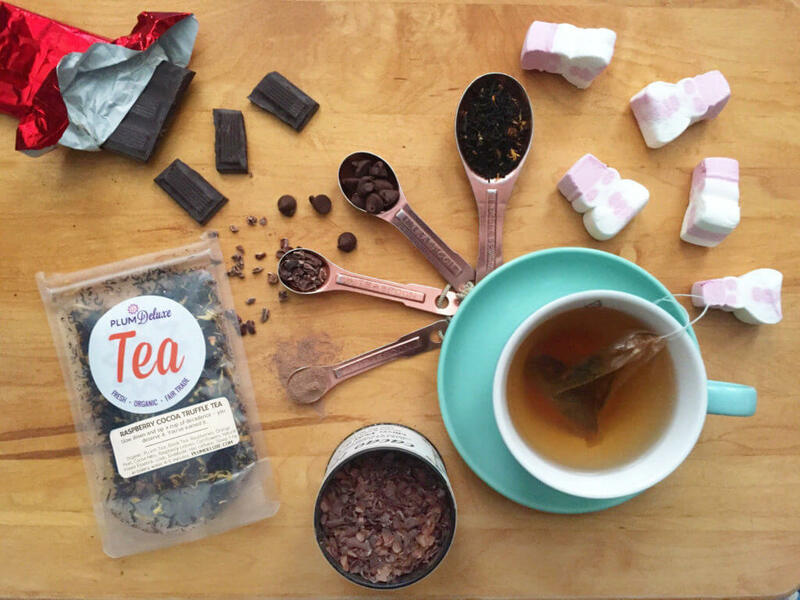 Are you searching for the best chocolate tea? Tea and chocolate can be a hard flavor profile to pin down due to the variety of ingredients and brewing methods available. 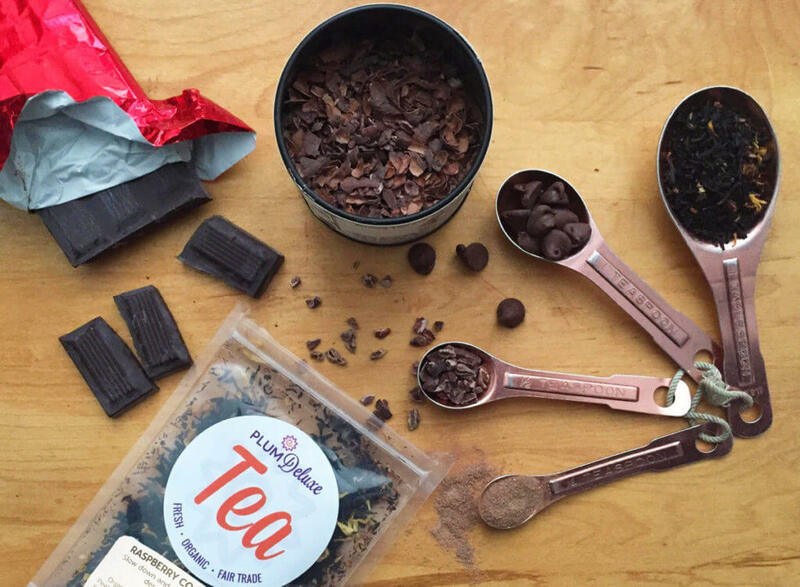 Read on to learn more about chocolate and how its different forms can factor into the tastiest chocolate tea blends. Cacao Nibs — Made from chopped cacao beans, this is the pure, herbal ingredient that goes into making chocolate, straight off the cacao tree. Cacao nibs are often used in tea, baking, and cooking. 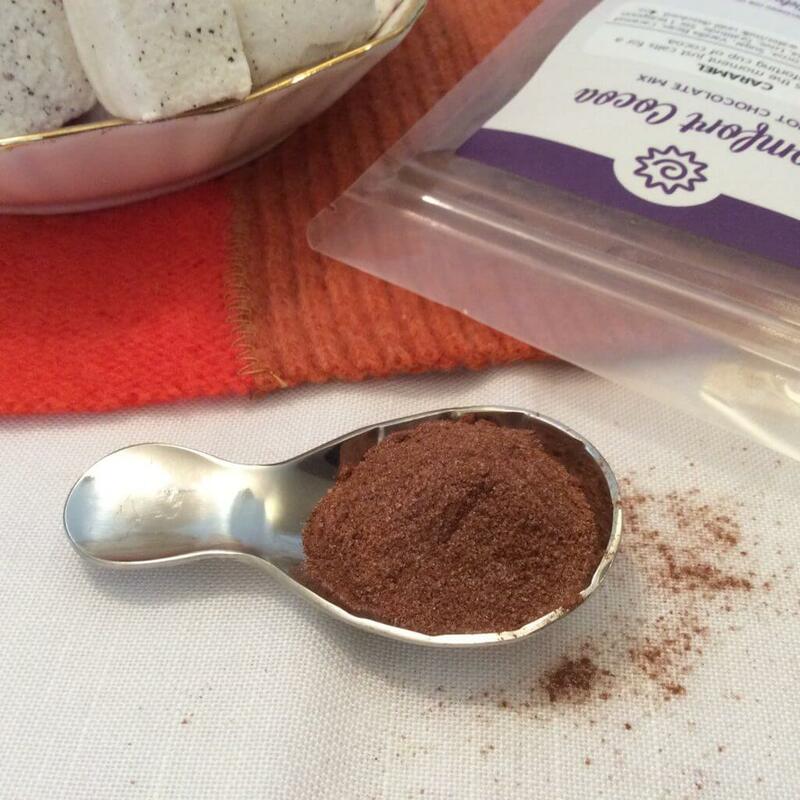 These nibs add some cocoa flavor, not overly sweet, tasting a bit earthly or almost floral, similar to unsweetened cacao powder. They are used in our classic chocolate-inspired tea blends, the chocolatey-orange Brunch in Paris and the White Chocolate Peppermint herbal tea. Cacao Shells — Made from the outer shells of the cacao bean. These shells are not eaten but can be steeped in tea to release their flavor. Cacao shells provide a chocolate taste, but it is much more nutty and buttery, almost savory in nature. The taste of cacao shell teas always remind me of chocolate-drizzled popcorn. Cocoa Powder — Made from heavily roasted and processed cacao beans, and ground into a fine powder. This comes in both the sweetened and unsweetened variety, so be sure to chose the one that works best for your situation. Cocoa powder packs a punch of chocolate flavor, and its powder form makes it easy to mix into other ingredients, which is why it is often used in cooking and baking. Raw Cacao — Cacao nibs are simply chopped cacao beans, and cocoa powder is roasted and ground cacao beans. Raw cacao is somewhere in between these two processes. To make raw cacao, cacao beans are gently heated and crushed to form a paste or powder. Because it is less processed, many claim this form of cacao has added health benefits as well as a stronger chocolate taste. 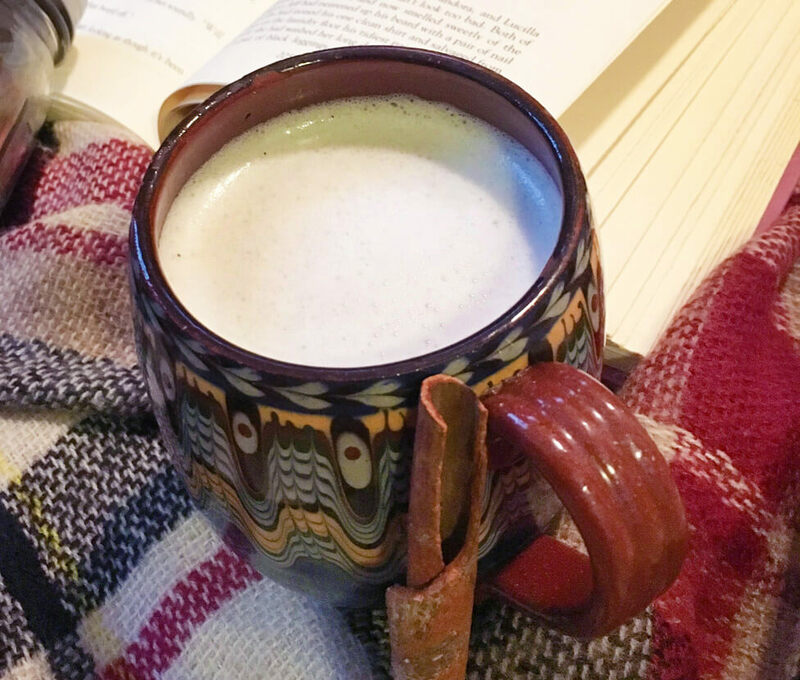 Hot Cocoa — Made with cacao powder, powdered milk, and powdered sugar. Hot cocoa powder has a similar ingredients list to chocolate chips, but remains in a powdered form. Mix the powder with hot water or warm milk for a sweet dessert beverage. Typical hot cocoa has nothing to do with tea unless you choose to spice it up and use hot tea instead of milk or water. 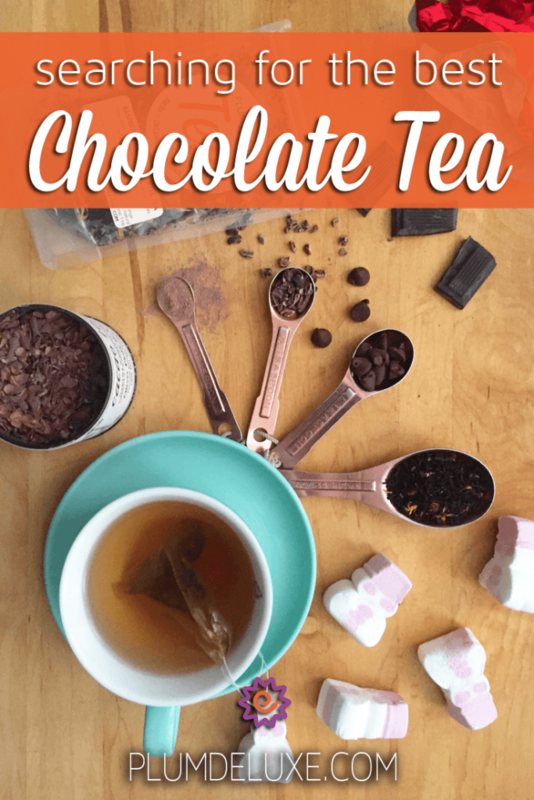 The variety of tea flavors out there give you lots of options to brew your best chocolate tea and cocoa combination. Or, if you simply prefer hot cocoa to tea, expand your hot cocoa palette by trying one of these hot cocoa flavors. It is important to consider sugar in this chocolate equation. If you are looking to indulge in a sweet treat, sugar definitely helps bring out the best in chocolate tea; it makes the flavors feel more decadent and true to the candy-bar form. But if you are watching your sugar intake, be sure to review what is included in your next cup of chocolate tea (or hot chocolate, or in your cocoa powder), as there may be more sweeteners than you expected. Ingredients like cacao nibs or unsweetened cocoa powder are delectable tea inclusions because they bring rich, dark, chocolate flavor to tea without the added sugar. The biggest challenge with brewing the best chocolate tea is how to avoid brewing a cup of thin, chocolate-flavored water. Here are a few tips to help give your next cup of chocolate tea more body. Blend with Honeybush — Honeybush is an herbal leaf that has its own slightly caramel, nutty sweetness, which often pairs more harmoniously with chocolate than astringent black tea alone. Plus, there’s no caffeine! Two great examples are our Chocolate Hazelnut Dessert Tea and chocolate-lavender Easy Like Sunday Morning. Add Milk — The creamy fattiness of milk helps flesh out gentle herbal cacao flavors into more of the real chocolate chip taste. Likewise, a frothy milk tea latte adds a fluffy, creamy texture that makes the tea feel much more luscious than if it were just brewed with still, hot water. Watch Your Steep Times — Follow the recommended instructions that come with your chocolate tea. Over-steeping may bring out the worst in the black tea leaves, making the brew too strong or bitter, while under-steeping may not give the herbal ingredients enough time to bloom into flavor. Try out different times and proportions when brewing with milk so that your blend isn’t too mild. Using more leaves or longer steep times can sometimes be best for an iced tea. Using more leaves can also give you the most full-flavored experience when brewing a latte of your favorite chocolate tea. I choose different types of chocolate teas and different ingredients to suit my mood. On a bright morning, I may want a less-sweet tea with earthy, floral cocoa nibs. Or on a snowy weekend, I want the perfect milky chocolate tea latte, complete with sweet chocolate chips. Now, when you get a chocolate craving, you know which ingredients and brewing style will make for a cup of the best chocolate tea.